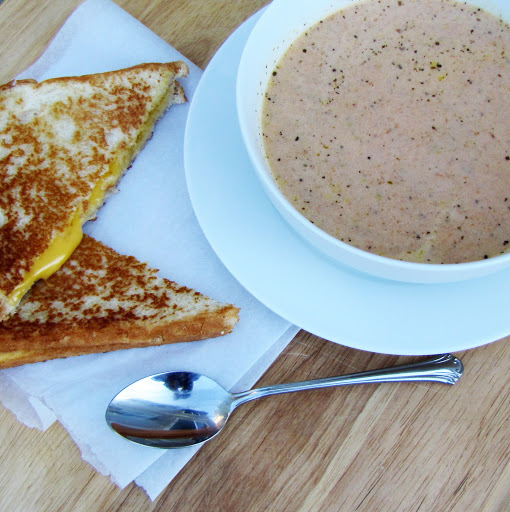 I love, love, love creamy homemade tomato soup with grilled cheese sandwiches. 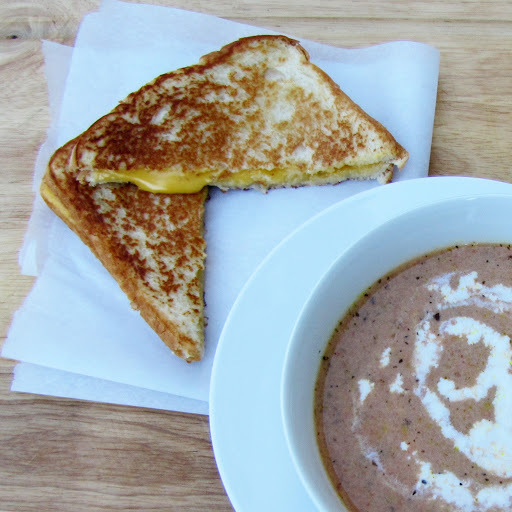 It is one of my favorite comfort foods. I saw a recipe for a hearty slow cooker tomato soup on Today’s Mama and immediately wanted to try it. I did modify it a bit to make it a little healthier. The Today’s Mama link has the original version. The way I ended up doing it though was creamy and delicious. I will be making this one again! If you want to be naughty, but not quite as naughty as the original recipe, swirl a bit more half and half in the bowl before eating. 2. Cover and cook on LOW for 5-7 hours, until flavors are blended and vegetables are soft. I blended mine a bit with an immersion blender at this point, but that is optional. 3.Stir in the warmed half and half, salt and pepper. Add additional basil and oregano if needed (the slow cooker does a number on spices and they get bland over time, so don’t be afraid to always season to taste at the end).